Dr. Abramovits was born in Caracas, Venezuela, where he grew up, earning his medical degree from the Faculty of Medicine of the Universidad Central de Venezuela in 1972. He then took an internship and residency in internal medicine at the University of Texas Medical School in Houston (1973-1976), followed by a dermatology residency at the University of California, Los Angeles School of Medicine [UCLA] (1976-1979). He returned to Caracas, practicing at Centro Medico Docente La Trinidad from 1979 to 1989 and organizing the biannual Intercontinental Congress of Dermatology. He then moved to the United States, first going to McAllen, TX and then to Dallas, TX. 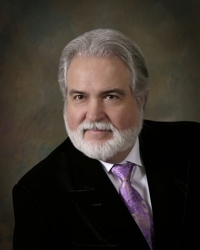 He is in private practice and has served on the faculties of the University of Texas at San Antonio School of Medicine and University of Texas Southwestern Medical School in Dallas. He is currently affiliated with the Baylor University Medical Center, Dallas and is Medical Director of the Dermatology Treatment & Research Center in Dallas.